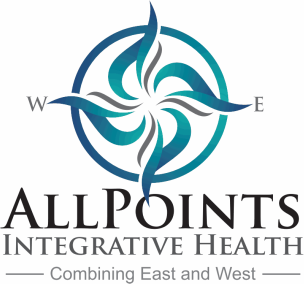 AllPoints Integrative Health, LLC opened in June 2012 to create an environment where like-minded practitioners could come together to serve their community by practicing their expertise. We offer a unique experience by balancing alternative healthcare with a contemporary approach to healing. Providers at AllPoints are educated on current best practices in their field and use them when providing care. All of our practitioners are independent and make their own clinical decisions, while also having the advantage of working as a team to integrate different approaches to healing. We have the same goals as our patients; to return you to health and improve quality of life in the most efficient and effective way. By working with our patients and teaching you exercises and stretches to do at home, we are able to include you in the treatment process. In educating our patients, we feel we are giving you the tools to take control of your health. Does AllPoints sound like the right fit you?